Rick Riordan presents, with Disney Books, is all about the effort to share amazing new middle grade books showcasing under represented cultures and mythologies that are all written by different authors who are inspired by their own backgrounds and folklore. Think Hindu, Native American, Chinese and more! Love this mission and my daughter Kenzie LOVED Aru Shah and the End of Time. Below, Kenzie, age 12, shares her book review for the full scoop for interested readers. Middle School readers will definitely like this book! Aru Shah and the end of time is about a girl, Aru, who has always tried to impress her friends at school with lies about what happens to her and what she does. But one day over break, a group of kids come over to Aru’s house (also a Hindu museum) and try to embarrass her. Not wanting to be made fun of at school, Aru touches the lamp that holds the “Sleeper” that she had always been warned not to touch, and unknowingly releases the Sleeper. Aru soon finds out that she is one of the Pandava Brothers from the epic of Mahabharata reincarnated, and with the help of her fellow Pandava Sister, Minnie, Aru works to defeat the Sleeper before he can destroy the world. 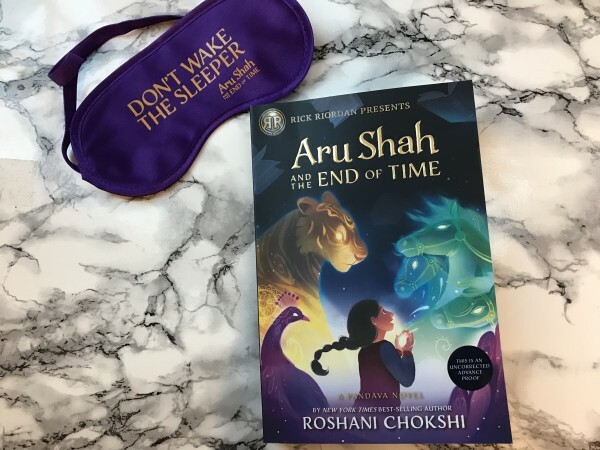 I loved Aru Shah and the end of time because of the witty charm of Aru and her point of view on things and the action-packed adventures that Aru and Minnie go on through the many aspects of Hindu mythology, from meeting the (six) seasons to riding on the back of Uchchaihshravas (a seven-headed horse). 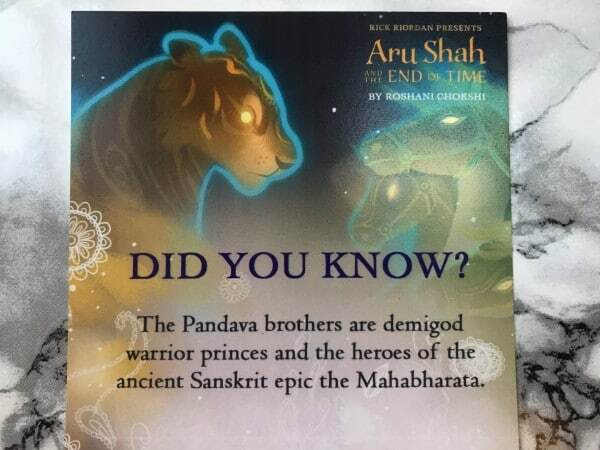 I think anyone who loved Rick Riordan’s many books on Greek, Roman, and Norse mythology will enjoy Aru Shah. These books are a great way to learn about interesting Hindu mythology that you likely would’ve never learned about before. I loved Aru Shah! Note: Thanks to Disney Books for sending us a free advance copy of this book so we could read it.